Patient number 3737 probably only had a few months to live when she walked into the chief of surgery’s office at the National Cancer Institute. Dr. Steven Rosenberg ought to know — he’s been in the job for more than 40 years. Now #3737, whose real name is Melinda Bachini, is at home in Billings, Montana, her hair growing back and chasing after her three youngest kids. And the story of how Rosenberg’s team fought back her cancer using a highly personalized approach is reported in the journal Science. Using a combination of leading-edge genomics and new insights into the human immune system, Eric Tran and the rest of the team in Rosenberg’s lab found a very few immune system cells that had just the right tools to fight Bachini’s tumor. They grew these cells in the lab and re-infused them into Bachini. They’ve now been shrinking her tumors for six months. Bachini knows it’s early days and she knows her cancer is not gone, at least not yet. It was her son’s 14th birthday in December 2009 when Bachini was diagnosed with cholangiocarcinoma, a rare bile duct cancer. Only 2,500 new cases are diagnosed each year in the United States. Bachini was not even feeling that ill.
“They were looking for gallstones and I had a mass in my liver,” she said. Cancer was “totally not on my radar,” she adds. The five-year relative survival rate for early stage cholangiocarcinoma is only about 30 percent. Bachini knew her chances were not good but went ahead with the standard chemotherapy, which was highly toxic and damaged the nerves in her ears, hands and feet. “It didn’t shrink anything,” she said. “One day I was at the computer and I stumbled on this clinical trial at the National Institutes of Health.” She enrolled and started treatment in March of 2012. Doctors have known for decades that the body can fight cancer. Immune cells called CD4 T-cells can recognize tumor cells, and often destroy them. But they often get overwhelmed, too. Cancer immunotherapy seeks to identify the right T-cells and amplify them for patients. It seems simple but it has not been easy. In fact, doctors have been trying with little luck for decades. The only approach that’s worked well has been against melanoma, and that’s in part because melanoma tumor cells are just loaded with mutations, says Rosenberg. “If you try to do that in common epithelial cancers, you can’t find them. You can’t use these cells for treatment,” said Rosenberg, a pioneer of modern cancer immunotherapy. Epithelial cancers — solid tumors — account for 80 percent of all cancers, from colon cancer to ovarian and breast cancer. But advances in genetic sequencing have made it more possible. Rosenberg’s team took a tumor out of Bachini’s left lung and found the CD4 cells that were attacking it. “They pulled cells off the tumor that the body sends there to fight the cancer and they grow them in the lab for a month,” Bachini said. Bachini had to undergo a strong chemotherapy treatment to kill off many of her other immune cells, and then was infused with the T-cells that seemed to best attack the tumor. It seemed to work quickly, at first, Bachini says. “Within two weeks of being home, the chronic cough I had had gone away,” she said. 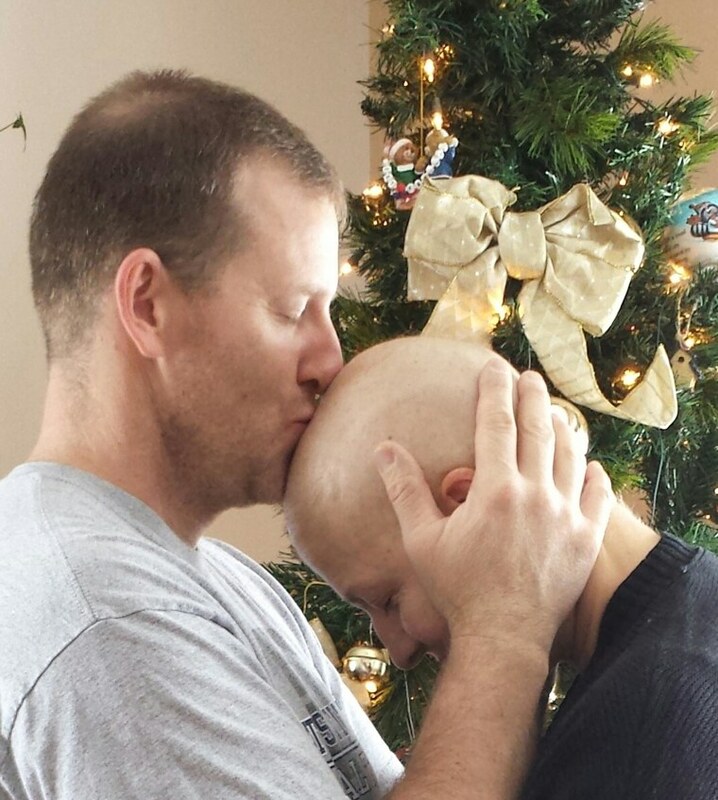 “For six months the tumors shrank. For the second six months they were stable.” But then they started to grow back. Rosenberg’s lab had developed a new DNA sequencing technique in the meantime. “We had to sequence the tumor itself to find all the mutations that are present in the cancer,” he said. They strung together all the mutated DNA, and then tested it against a sampling of Bachini’s own CD4 T-cells. This would not have been possible before the days of what’s called high-throughput genome sequencing. Super-fast sequencers get through a whole genome in a day, compared to the 13 years and $3 billion it took to sequence the first human genome. The National Cancer Institute team found the precise T-cells that were configured to attack only the tumors. Bachini had them — just not enough of them to destroy the cancer. The researchers cultivated and grew these cells in the lab, and once again infused them back into Bachini’s body. It’s been six months, and the tumors are still shrinking, Rosenberg said. “My guess is she had a few months left to live when we first saw her,” Rosenberg said. Bachini is due for another checkup in June. But she’s hopeful. “I am slowly coming back,” she said. “When I went into this trial I felt like I had nothing to lose but everything to gain.” As a mother of six kids, she says, it’s important to get back to normal. “Life definitely doesn’t stop because you have cancer,” she said. And she wants people to know that clinical trials like this one really can make a difference. “I know I am patient number 3737 in the (Science) article, but I have never felt like a number,” she said. One person is never a cure, and it will take a long time to find enough patients to test and see if the approach works. Other experts are cautious. But Rosenberg says his team has found two patients with colon cancer who might make good candidates for this trial, and they are working with los Angeles-based Kite Pharma to develop the treatment.